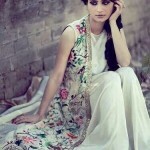 Anarkali has been in fashion scene since long for now. It is one silhouette which is a classic cut and every now then we can see certain variations in it. 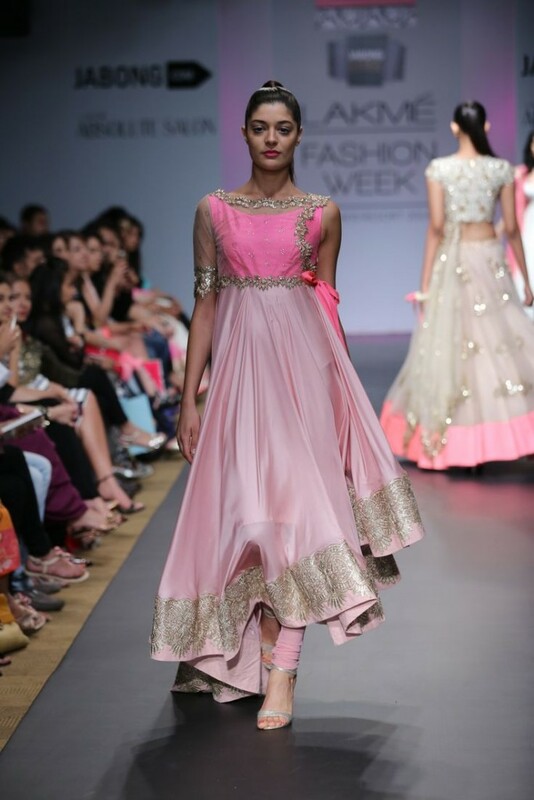 It can be a different cut in anarkali or teeming it up differently than regular. 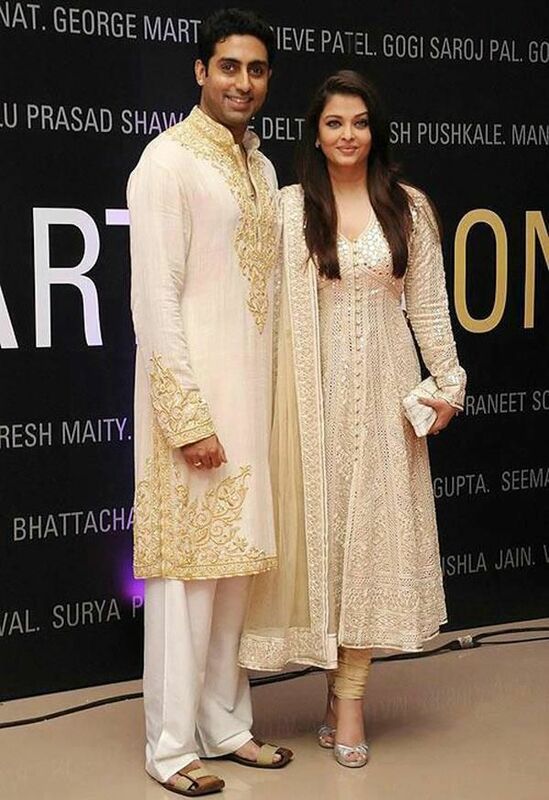 Lets find it…..
Front Open Yoke Style– This front open Anarkali style is good for the people who wants the upper part to be fitted, irrespective of the flair at the bottom. The yoke at the chest gives a slim and fitted look to the upper, and eventually flairs at the bottom in panels. Front opening can be embellished with a piping or different buttons. Long yoke style– A long yoke style is good for the people with short torso. 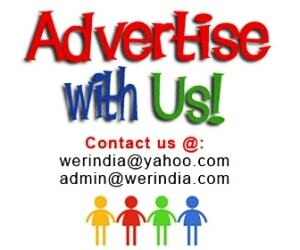 It will lengthen the upper and provide a balance between the upper and bottom. 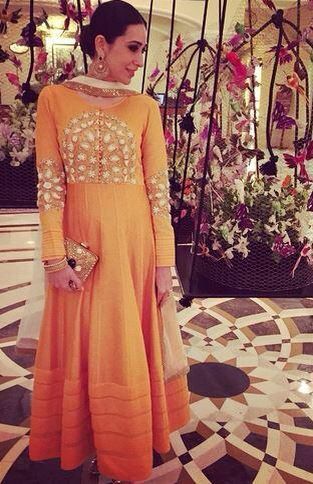 People with this figure type who wants to wear anarkali with a fitted upper should strictly try this style. 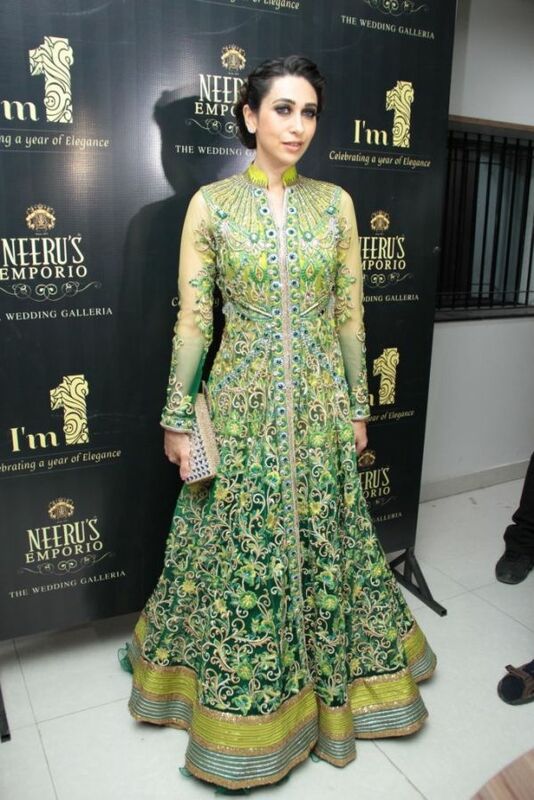 Floor Length Anarkali– A style more loved these days, can be front open with a collar like below, like a flair jacket. But if you do not like the closed one, then you can choose broad and deep necks without front open too. 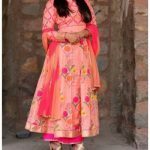 Asymmetric Anarkali– Anarkali with asymmetric hemline is an interesting way to break through the regular symetric silhouette. Sheer Upper Style– A modern take on ethnic silhouette, you can combine a contrast tube top or slip inside. 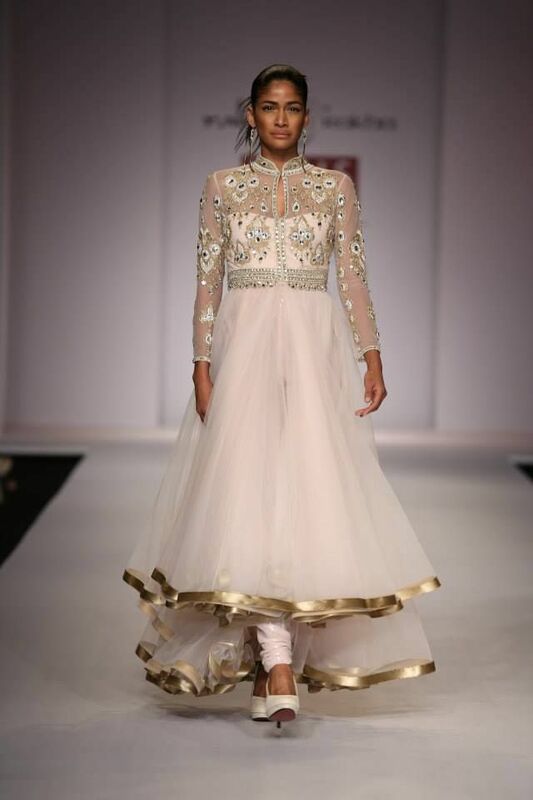 Tube Style with Sheer jacket– A tube style anarkali is interestingly teemed with a sheer embroidered jacket.